Only 79,564 Miles! Boasts 36 Highway MPG and 28 City MPG! This MINI Cooper Hardtop delivers a Gas I4 1.6L/98 engine powering this Automatic transmission. Ventilated front & solid rear disc brakes, Twin horns, Traction control w/Automatic Stability Control (ASC). *This MINI Cooper Hardtop Comes Equipped with These Options *Toggle switch instrument controls, Tire pressure monitor, Sport button -inc: accelerator & steering programs, Speed-sensitive variable pwr electric steering, Speed-sensitive front intermittent wipers, Space saver spare tire, SIRIUS satellite radio -inc: (1) year subscription, Single pipe exhaust system w/chrome tailpipe, Side sun visor for driver, Side impact door beams w/interlocking anchoring system. * See What the Experts Say! *As reported by KBB.com: If you enjoy efficiency, expressive design and responsive handling, today's 2012 Mini Cooper is tailor-made for you. The handling seems almost go-kart quick, helped, in no small part, by a rigid structure. And, if you can tolerate a few stylistic eccentricities within its interior, you'll forge the kind of emotional bond with your Mini that hasn't been seen in the U.S. since the heyday of the Beetle. In its own idiosyncratic way, today's Mini is more than fun; it's functionally recreational. 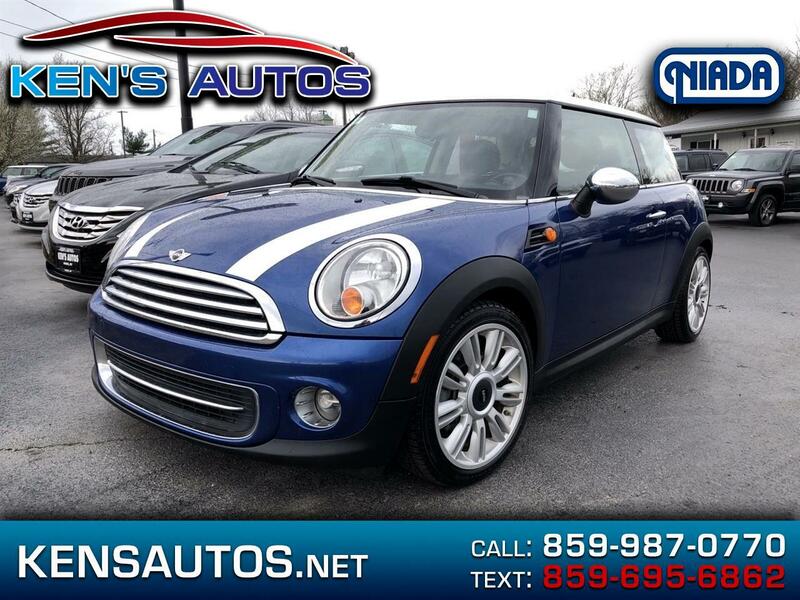 * Stop By Today *For a must-own MINI Cooper Hardtop come see us at Kens Autos, 1801 Main Street, Paris, KY 40361. Just minutes away!